AT their prime, anything up to two hundred steam-driven paddle- and stern-wheelers could be seen on any one day along any of the city waterfronts of America's mighty Mississippi, a waterway stretching from Minnesota in the country's far north, to where it empties into the Gulf of Mexico near New Orleans 3700km away in the far south. 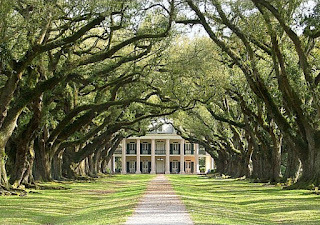 From when Nicholas Roosevelt built the first riverboat in 1811 and sailed from his hometown Pennsylvania down the Ohio River to join the Mississippi – and ended-up 28-days later in New Orleans – the river and its steamboats became a highway for passengers and freight from the coast to the inland, or out to market from the inland's bourgeoning cotton, tobacco and fruit and vegetable farms. Vessels that could carry up to 400-plus passengers, or purely freight-only, churned up and down the river 24-hours a day, and plied a myriad tributaries that reached like tentacles into an amazing 31 States. Even seemingly regular onboard fires in their boiler-rooms could not quell Americans' insatiable demand for the steamboats. On many vessels these boilers were poorly-built and regulated, tending to explode when heated beyond their capabilities – with some 4000 engine-room workers dying in explosions that blew-apart over 500 vessels. In May 1849 the little paddle-wheeler White Cloud blew-up with a thunderous roar in New Orleans, the subsequent fire burning through her mooring lines and allowing her to drift downstream into other moored vessels. She in turn set fire to many of these, and then to cargo on wharves, then waterside sheds, and finally town buildings. In all 24 vessels burned to the waterline, 140 city buildings were razed and nine lives were lost. By the 1970s trains, planes and automobiles were making their mark on the river trade, and passenger traffic in particular became almost a thing of the past, while freight operators moved from wood-fired paddle- and stern-wheelers to more efficient diesel-powered river freighters and tug-drawn barges. And by 2001 the number of passenger steamboats plying the Mississippi could be counted on the fingers of one hand, with the final death knell sounding in November 2008 when the world's biggest-ever steamboat, the 436-passenger sternwheeler, American Queen was withdrawn from service and mothballed with mountainous debts. While a few smaller vessels continued to operate day-time sightseeing and night-time dinner cruises on parts of the river, the following year, 2009, marked the first year since 1811 that no steamboats had operated regular long-distance passenger or tourist cruises on the Mississippi. But steamboatin' buffs are a devout bunch, and two companies that have been trying to out-manoeuvre each other to bail-out the American Queen, have now joined together to put this spectacular 127m sternwheeler back into the Mississippi tourist business. 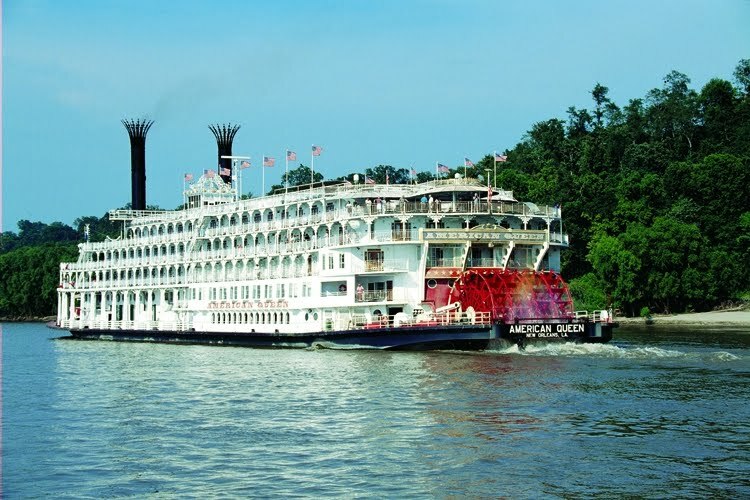 Dubbed the "grandest of the wedding-cake boats" for her elaborate white superstructure, American Queen will undergo a nine-months make-over and once more set out on 3- to 7-night holiday itineraries on the Mississippi and Ohio Rivers from April next year, with her home-port New Orleans. Aficionados say you only need go aboard one of these "wedding-cake boats" once to be bitten by the "steamboatin'" bug for life. The American Queen is a faithful reminder of the grandeur of the 1800s and early 1900s. 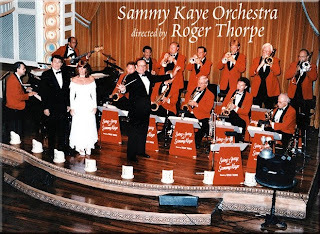 It's an almost-blend of Disneyland and Huck Finn – Samuel Clemens who wrote The Adventures of Huckleberry Finn under the pen name Mark Twain was himself a one-time riverboat pilot – to rekindle memories of childhood black and white flicks and the stories Mum and Dad used to read us. For details of American Queen's sailings from April 2012, phone Cruise Specialist Holidays toll-free 1300 79 49 59. COME-back: the grandest "wedding-cake boat" of all, American Queen is set for a come-back in April 2012. 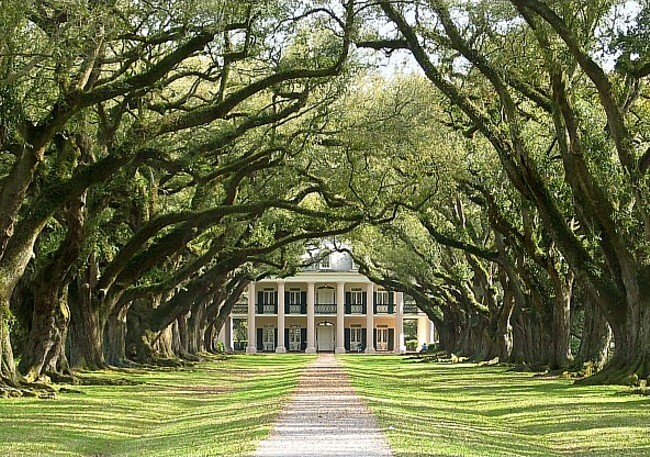 NEW ORLEANS' Oak Alley Plantation is one of the grand homes tourists see from the river. 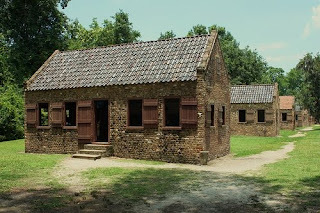 ONE-time slave quarters such as these can also be seen along the Mississippi. 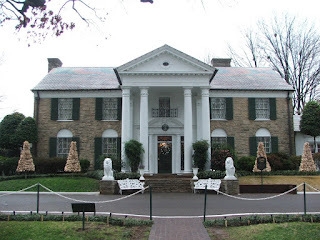 ELVIS Presley's Gracelands on the banks of the Mississippi. 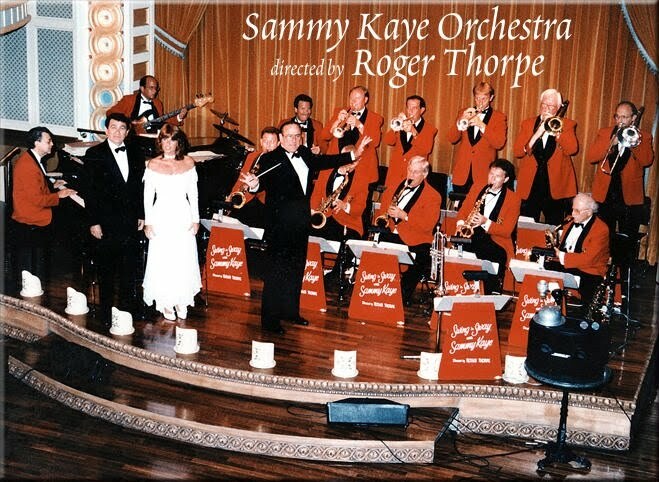 SAMMY KAYE Revival Orchestra ("Swing and Sway With Sammy Kaye") will be amongst big names reviving the music of the Mississippi on American Queen.